The crux of this Letter to Editor in the Billings (MT) Gazette from Deborah Hanson of Miles City was to urge landowners who might be affected by fracking activity going in their area to contact their state senators to support baseline water testing. 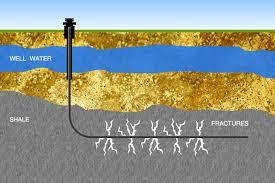 We have been urging well owners who live in areas where fracking operations are present to do this for quite some time. What this gives the well owner is just what the term ‘base testing’ implies—you now have a documented reading of the primary contaminants that a point in time…hopefully, before the fracking operation actually begins. But, even if it has already started in your area, you can still use this method. After the baseline test has been done, you will continue to have your water tested. We recommend that it be done annually, but it may need to be done more frequently if you start to see increased levels of certain contaminants or you, members of your family, or your pets and livestock start getting sick. The writer says the testing can be expensive, and it can be. That’s why she urges the cost be covered by the companies doing the drilling. We think this is also a good idea and the right thing for the companies to do to prove they are being good citizens. In the meantime, if I was a well owner, I wouldn’t wait for this to make its way though the legislature. I would find an economical way to have my water tested ASAP so I have my own baseline. You can go to a local lab and have this done, but it’s probably going to cost you a fair amount. That’s because labs normally price their testing on the number and specific types of parameters you want to test for. We created a water test that is designed to be a baseline test at a very affordable price. That’s because we have a fixed set of contaminants and other parameters we test for. This saves us set up time and we pass these savings onto our customers. We believe that the cost of such a test should not be a barrier having it tested, especially in these fracking locations. You can read the original Letter to the Editor here. If you want to learn more, please visit our site and read about the ‘Bang-for-the-Buck’ Essential Indicators Water Test. It can either be ordered directly from us or on Amazon.